Join us for an evening in the company of chef, entrepreneur and food lover Rick Stein as he takes us on another culinary journey and talks about his new book The Road to Mexico and accompanying BBC TV series. 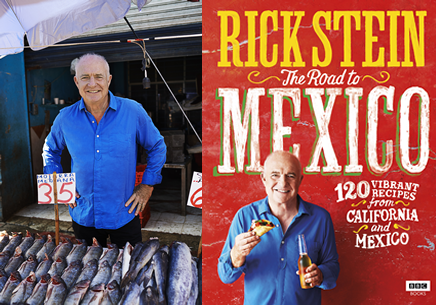 In The Road to Mexico, Rick Stein brings his unrivalled enthusiasm and trusted expertise to the fresh, flavourful food of Mexico and California. No one better captures the food essence of a country and brings the best recipes into our kitchens like Rick. Starting in San Francisco and Baja California, and working his way down to the southernmost tip of Mexico, Rick Stein cooks, eats and experiences Mexican food at its very best and most diverse. The Road to Mexico is inspired by a journey that Rick made in late 60’s, so expect to hear lots of nostalgic tales of how the countries have changed over the years and how the food has developed, plus travel tips and a dash of art and culture thrown in for good measure. Rick’s best-selling cookery books and television series have won him an army of fans. We’re delighted to bring him to Oswestry for what should be a hugely entertaining evening. Don’t miss this chance to meet him.